“This is more than just an outrage. It is more than just two tea party zealots forcing their ill-conceived and obsessive behavior and “ideas” upon the unwashed and uneducated who have followed them with gusto and hearty resolve. This is more than just about hypocrisy and plain stupidity. “What it is about is lying and stealing public dollars for personal benefit. It is about attempted bribery and tearing apart two families and the families of those who worked for them. It is about pretending to be one thing but being something totally different, their bi-polar existence, if you will. It is about their incessant preaching and obvious hatred for themselves, as no one can act the way they did and love themselves, and sadly, they represent so many that are now part of the Republican Party who ask us to do as they say but not as they do, and I am not just suggesting lawmakers, no, real, every day people who through their morality and religious beliefs have fooled themselves and others into thinking that they are living a life worth emulating. How? How? 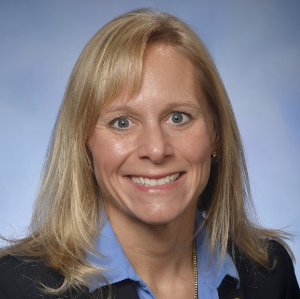 As we explore the deeper issues at work here, it is clear, crystal clear, that neither Todd Courser nor Cynthia Gamrat was ever meant to serve the public, even if that service was to a misdirected and uneducated following. Their story, and you can bet there is a good one here, may go back years. Their story, whatever and however it ends up manifesting, is not just about their seeming dishonesty or hypocrisy. If it were only that simple. It is about a pattern of behavior, a culture of power and control that they so proudly held up like the opening scene of The Lion King as Mustafa held Simba up to a world awaiting his life. The majestic Lion King and the bright, burning sun just opening a new day for the world to experience. Yes, Courser and Gamrat most likely believed that their ideology was prime for its ascension to its rightful place in society, and theirs, of course. Their delusion was that they were the answer to prayers so deeply held that they found in each other an insanity that blocked reason and logic, obviously. They found in each other a common confusion that allowed them to think that if they continued to preach to their masses of malcontents that their way was the way to restore a real America, an America that was worthy of so much more than what most of us fight for on a daily basis. They believed that a transition to a tea party filled with religion, discrimination, hatred, confusion, empty ideas, and profit seeking legislation for those who made sure their money coffers were filled with the seeds that grow such thinking was somehow the best and only path forward. Not only were they dead wrong, but the reaction from the tea party faithful is of sadness and compassion for two people who may have lost their way but do not deserve the scorn they are meeting, not to mention what is ALMOST an assured forced resignation from their offices, as should be. But will it? As I stated yesterday, I am not happy about this because the reality of what they have done is not fully known. But what we have beyond the obvious is the assumption that they broke the laws of Michigan as well as the laws of God. And that should be a part of the conversation, because that is what they would have wanted, right? 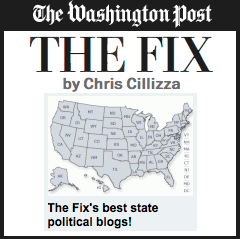 The political dysfunction in this state is out of control. Senator Virgil Smith attacking his ex-wife’s car, while naked and filled with anger while still collecting a state paycheck is unimaginable. Is there a one of you in your job had you had done this that would still have gainful employment? I seriously doubt it. 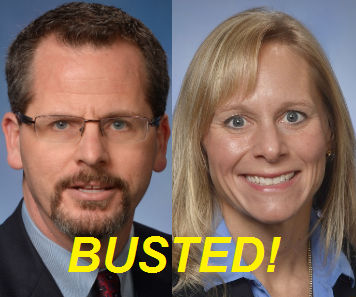 Yes, Courser and Gamrat have broken the public trust, if that ever mattered to them, and it is again crystal clear that from day one of their tenure in the House that they were hell-bent on making a mockery of state laws, state protocol, the responsibility of their offices that they swore to defend and their (in)ability to represent ALL of their constituents. Let us also be mindful that they were legally elected by people who believe what they believe, and that should scare the hell out of all of us. Yes, my good friends, the majority of people who elected them wanted what they were selling and wanted it bad enough to blind themselves to the reality of what it is they supposedly believe in and fought for. I have no problem with an opposing point of view and I have no issue at all with people who are diametrically opposed to everything I believe in. Our constitution guarantees them that right, no matter how I may personally feel about it. I honor those who stand by their convictions knowing that their point of view could be a reason for persecution and outright ostracizing by people just like me. But they stand up to it and, love it or hate it, they hang on. Of this I know all too well. In the case of what soon will hopefully be former Representatives Courser and Gamrat, I wonder, loudly, what will be culled from this and what lessons will be learned. I am not optimistic that anything will come of this and I am not completely sure they will be asked to resign or will be replaced at this point, because in Michigan politics anything is possible. Together we can and must remind the people who believe as these two did that the damage they have done to the state, their families, the families of their staff and the taxpayers is not about partisan politics but about a mindset that leads some to believe that what they say and what they do is not related. And that we should not judge them based on their actions. It is clear that they represent a certain segment of society that is mourning today. Not the loss, or potential loss, of two promising leaders in their world. What they are mourning is that the messengers just may disappear and then who will they have to carry their message forward? Think about how sad that is and then remember: let those without sin cast the first stone. No, I am not perfect and neither are any of us, but my greatest sin to date may be that I have tried to live a virtuous life. Because it seems like not doing so is much more rewarding. Or is it? We’ll soon find out! Author: Tony Trupiano Tony Trupiano is the host of the online radio program The Voice of the People, M-F, 9 a.m.-noon . 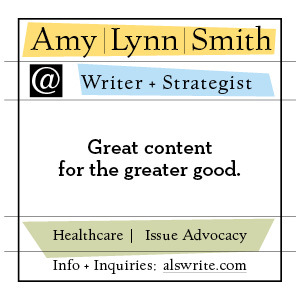 He is the author of two books and has been part of the progressive media landscape for 20+ years. Follow him on Twitter @tonytrupiano.